Tasked with the mission of saving humanity, you are an android that must destroy all machine intruders who have taken over the Earth. 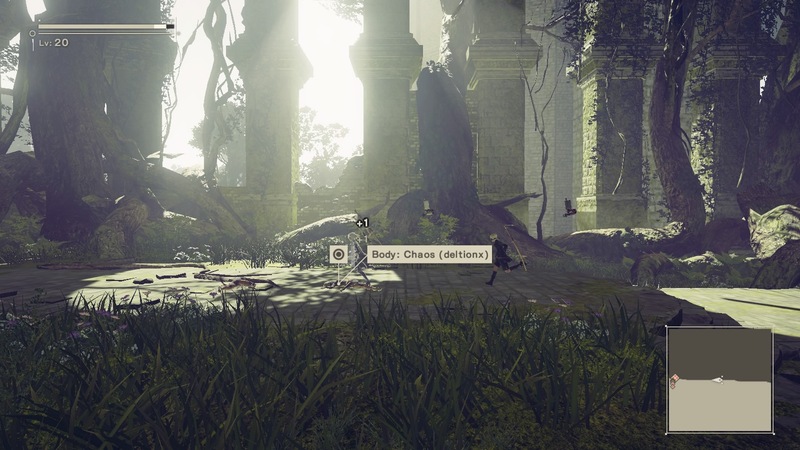 NieR Automata is the sequel to the 2010 game NieR. You play as 2B, a combat android, who has been tasked with taking back the Earth from the machines. You are being accompanied by 9S, a scanner android, who is to provide you backup and intel on enemies. As you make your way through the destroyed city you will aid both the Resistance and an unlikely group of allies to fight back against the machines. As you do so, you’ll come to find that some things are not as they should be, and that you just might be fighting for something even bigger. 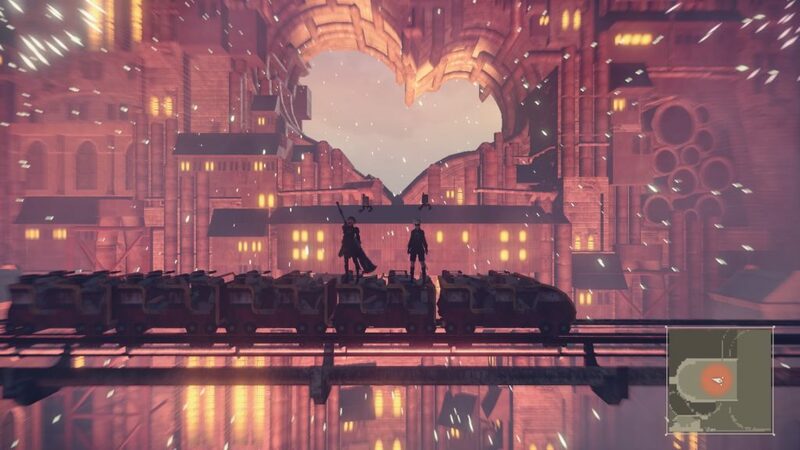 One of the biggest things to note about NieR Automata is that it’s not a game you’ll complete in one playthrough. In fact, there are a handful of primary endings that you’ll need to complete in order to get the complete story. As you complete each of the three main routes you’ll uncover more and more of the story until you ultimately come to the end. The story that you’ll experience within these three routes will have you laughing, crying, and questioning your sanity all at the same time. With that said, the story writing is absolutely magnificent in this game, even if you do question your sanity at times. Combat as 2B – and as a character in a later route – is fairly straightforward hack and slash, with the addition of ranged combat. While beating up enemies faces is pretty self explanatory, you may find yourself oftentimes preferring to stay at distance and shoot. The ranged combat – provided thanks to your Pod – is actually pretty strong and can easily take out enemies on its own. Granted, I only played the game on Normal difficulty, but I’ve seen mention that the ranged combat is still pretty strong on the hardest difficulty (in which you die in one hit). I even managed to take down full bosses like this while I just ran around collecting bodies (which I’ll talk about a bit later). Once you complete Route A – an act that will take around 15 or so hours – you’ll have the ability to dive right into Route B. Route B has you in control of 9S, and he plays a bit differently to 2B. In fact, I often found myself preferring to play as him simply due to his hacking ability. Hacking is 9S’s primary method of fighting, and as it turns out, it’s extremely strong. Each hack that you do will deal a good chunk of damage to enemies, oftentimes straight up killing weaker ones. I found I was often able to skip attack patterns on bosses using the hacking ability. While you definitely still have to pay attention and dodge properly outside of the hacking world, you’ll be able to more easily take foes down thanks to it. Hacking doesn’t simply involve just dealing damage to enemies, however. 9S will also sometimes be presented with the ability to remote control an enemy or have them fight the enemy for you. Of course, you can still simply select to have them detonate if that’s what you desire. While I didn’t use option of having them fight for you very much, I did do some work with the remote control part. Remote controlling can be a bit finicky, and you can also get stuck in there without the ability to save if you don’t realize how to get out (hint: press and hold the sticks), but it can be useful in a few places. Unfortunately, I did come across one bad softlock in relation to hacking that set me back about 40 minutes, and after that I was a bit more careful about when and where I did my hacking and remote controlling. I mentioned a bit ago that I would often run around collecting bodies while I simply shot at enemies. NieR Automata has a system that if you die, you leave behind a body. This body can be found by other players who are connected to the network, and they have the option to ignore it or interact with it. If you interact with a body, you’ll be given the option to pray or continue, and after that you’ll either be able to collect it for temporary buffs or have it join you for a bit. Unfortunately, for reviewing purposes anyways, I didn’t die very much in NieR Automata, but according to the tutorials, if you choose to pray for the body they’ll also get something out of it. Now, of course, the flipside to this whole body collection thing is that you will need to collect your own body should you die. If you don’t collect your body in time, you’ll lose the special chips that you had on. Like I said though, I didn’t die very much during my playtime, and for the handful of times I did die I was able to collect my body in time. It’s definitely an interesting concept, although I can see it being a bit more difficult to make it to your body in time should you die somewhere that’s a fair ways from a save point, but thankfully the game is pretty generous in giving you areas you’re able to save in. There is one other main component of combat and that’s the shoot ‘em up sequences. These will have your character in a flight unit making use of your pod to shoot down enemies. One big thing to keep in mind here is that it’s a bit easy to cheese these out by simply spamming the dodge button. Once I started doing this I started to take infinitely less damage from the enemies I was facing, although some of these sequences did feel like they took a bit too long to get done. Thankfully, at least as 9S, you can hack your way through some of the tougher enemies to make those not take quite as long. 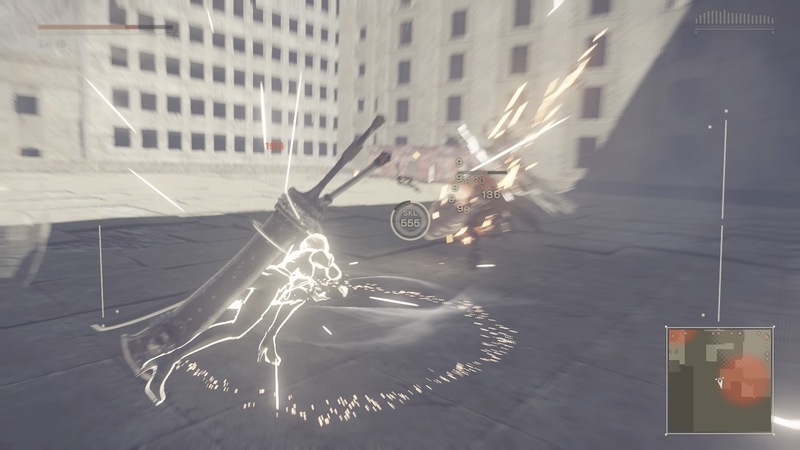 Equipment in NieR Automata consists of two main parts – weapons and plug-in chips. Weapons are self explanatory – find or buy them in the world, upgrade them with materials you find/pick up, and use the ones you find to be best. Plug-in chips are attached to your pod and are where your big effects will come from for your character. Each chip will cost a certain amount, with ones bought from stores typically costing the most. You’ll need to configure these chips into what slot room you have, with more being purchasable from a store in the Resistance Camp. If you don’t feel like trying to figure it out yourself there are options to simply have the game automatically slot chips based on the option you choose (Balance, Offensive, Defensive). The music in this game, much like in NieR, is absolutely fantastic. There are tracks that will get stuck in your head, as well as music that will perfectly fit the scene it’s set to. Some music from NieR does make a return here, but none of it feels out of place in the slightest. The voice acting is also on point in English, with no voice sounding like it doesn’t fit. NieR Automata is easily in line to be one of my favorite games this year. The game gets a very easy recommendation from me, even if you’ve never played NieR before. The story is fantastic, albeit very strange at times, the music is amazing, and the combat is extremely fluid. If you do play it though, I very highly recommend playing through all of the routes and not simply Route A. The graphics are also just the right amount of gorgeous, muted, and colourful all at the same time. While it’s definitely not perfect, NieR Automata is a game you should not pass up if you enjoy action, open world, or RPG titles in general. NieR Automata is available now via Amazon, PSN, and Steam. This review is based off review code provided by Square Enix for the PS4 version.